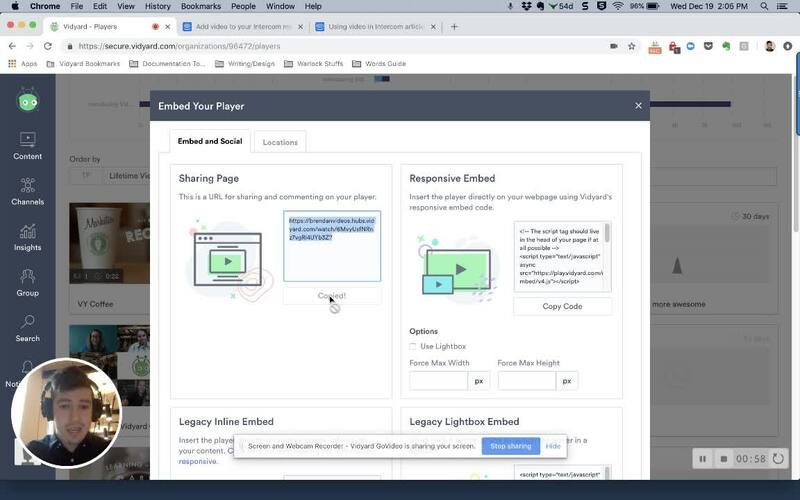 You can add your Vidyard videos to Intercom Messages and Articles in just a few clicks—without touching a single embed code. With the simple use a Vidyard sharing page URL, seamlessly combine video, chat, and text to further enrich communication between customers, prospects, and your team. If necessary, adjust the position of the video in the message (using either the backspace or return keys).